Seats are $25.00 each, but no one is denied due to inability to pay. 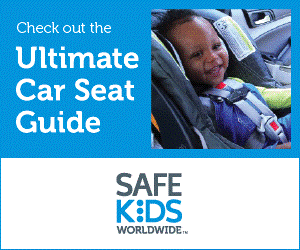 Keep rear-facing until age 2 or until child reaches the seat’s weight max (check the label). Use forward-facing until the child outgrows the seat (check the label). Use the harness. Booster seat - for children who have outgrown a harness. Always use a seat belt across the top of the thigh and from shoulder to hip (not behind the head/back). Use until child is 8 years old or 4’9” or taller. Sit with back against seat back. Legs bend naturally at edge of cushion. Lap belt fits low on upper thighs; shoulder belt across to hip. The Lorain County Car Seat Program is conducted through Lorain County Public Health, in coordination with Mercy Resource Mothers Program, Mercy Regional Medical Center, University Hospitals Elyria Medical Center, Elyria Fire Department, Lorain Fire Department, and in-part through the Ohio Buckles Buckeyes Program and funding from the Community Foundation of Lorain County.